The Japanese tech giant is already famous for its camera and its quality, on this last Thursday the Sony has announced Alpha 7 II Full-Frame Mirrorless Camera. 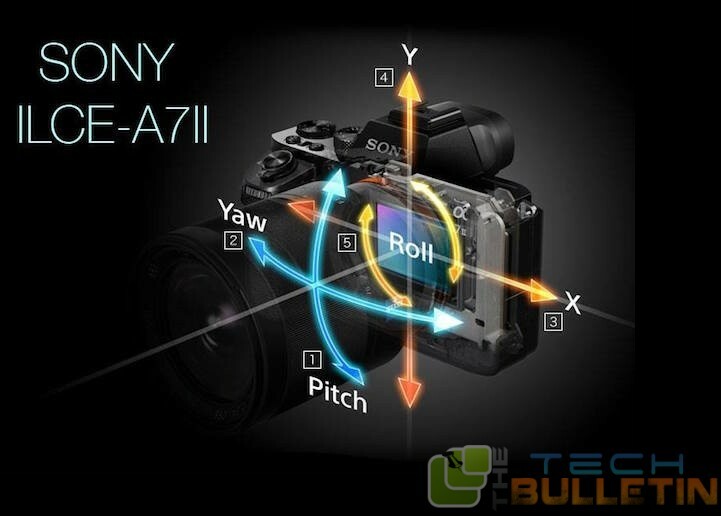 The latest Sony Alpha 7 II comes with a special 5-axis optical image stabilization (sensor shift), which is the first of its kind in a full-frame mirrorless camera. The camera comes with a five axis optical image stabilization (OIS) which can able to move along the regular left/ right and up/ down axis. The camera sensors has also able try to three other angular movements of the camera such as swinging left/ right (yaw) , tilting up/ down (pitch)and the last but important one is rotating clockwise/ anti-clockwise (roll). And with the help of CIPA standard, the tech giant Sony claims that the this OIS system has a ability to reduce shakes up to 4.5-stops, Which simply means that user can able to hold the camera in his hands and use the shutter speeds which might be 4.5-stops slower without any shakes. The Alpha 7 II comes has a 24.3-megapixel Exmor CMOS Sensor which supports 117 phase detect and 25 contrast detect points, but the manufacturer has claims that there is a 30 percent improvement in the auto-focus speed. The Sony has not added 4K video capability, the Alpha 7 II does get support for the XAVC S codec, which simply means that the camera can able to record 1080/ 60p video at 50Mbps(Full HD video). The camera also able to support for S-Log 2, which added the wider dynamic range. The Alpha 7 II weighs 556g, which is a good 140 grams in weight which makes it heavier than its predecessor.Since the camera has the OIS is reliant on the sensor, that means this will work with any lens which can be attached to it, that is also includes the non-Sony lenses which can attached using with the help of an adapter. 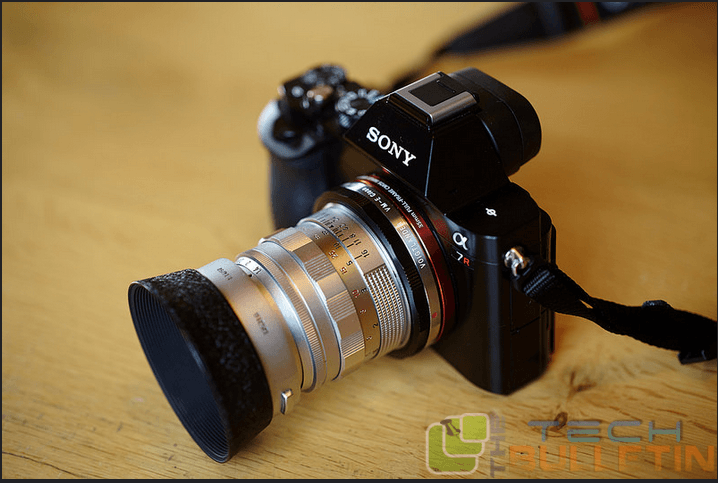 The Sony-Standard E-mount lens with image stabilisation has attached, then this new camera of Sony can support both the image stabilisation systems and also able reduce camera shake.